Gephyrocapsa oceanica Kamptner 1943: 45, no fig. Published in: Kamptner, E. (1943). 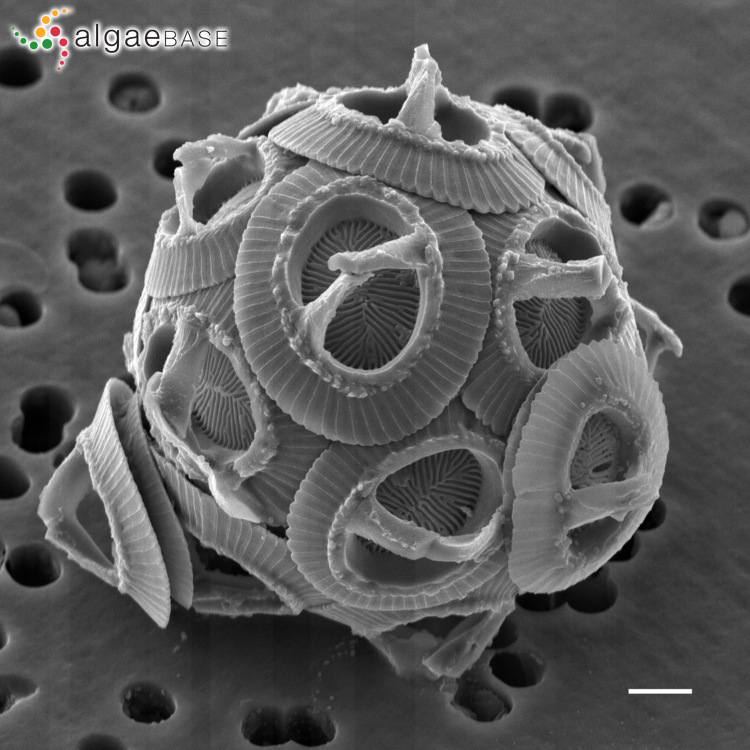 Zur Revision der Coccolithineen-Spezies Pontosphaera huxleyi Lohm . Anzeiger der Akademie der Wissenschaften 80: 43-49. 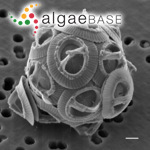 This is the type species (holotype) of the genus Gephyrocapsa. Heimdal (1997: 795) record this as a synonym of Gephyrocapsa caribbeanica. no locality cited [several possibilities...] (Silva 1996-to date). Kamptner, E. (1956). 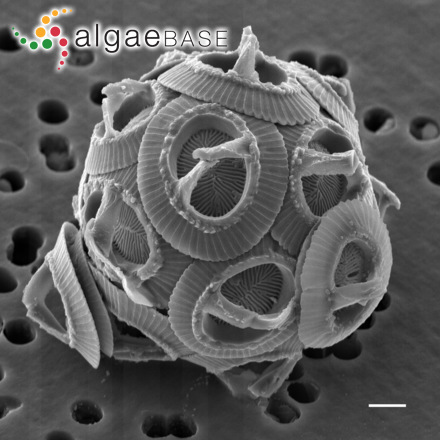 Das Kalkskelett von Coccolithus huxleyi (Lohmann) Kamptner und Gephyrocapsa oceanica Kamptner (Coccolithineae). Arch. Protistenkd. 101: 99-202. Accesses: This record has been accessed by users 2887 times since it was created.